Have you seen the movie Ice Age? Maine has been one solid block of ice and I can relate to the prehistoric squirrel trying to hold on to the acorn. I have never experienced such erratic temperatures before. My driveway is one sheet of ice, perfect for the Olympian skating championships. But today, it is sunny and warmer outside than in my home, is it Spring yet?? It’s time for a celebration and for this celebration we need something Zippy and delicious! I have joined once again with some fabulous food bloggers to present to you, Dippin’ Through January! 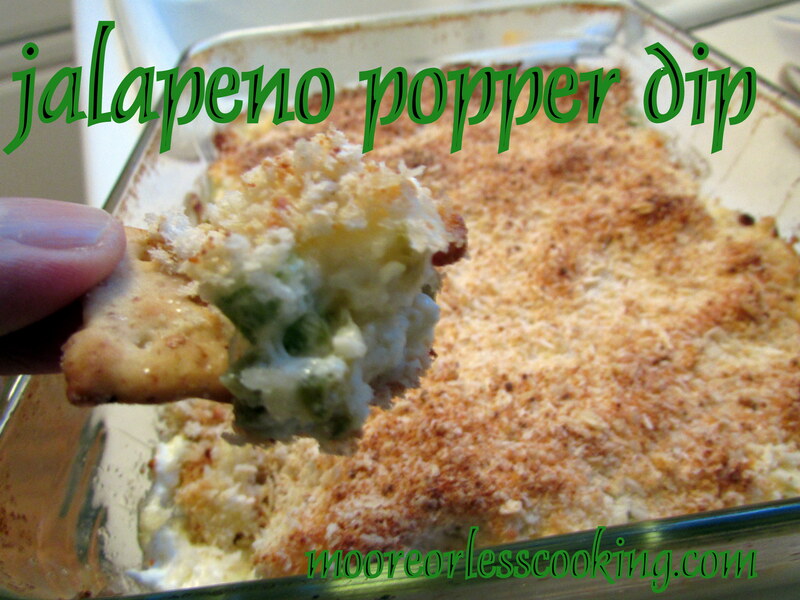 My Jalapeno Popper Dip starts off the party right! If you want a very spicy dip, do not remove the jalapeno seeds. I removed the seeds and it still has a kick to it, not overpowering. This is a wonderful dip for a party of any occasion, It is great when reheated also. 4-6 jalapeno’s, chopped and de-seeded. The seeds will make it fiery hot. Transfer to an oven proof dish. Combine the topping ingredients and sprinkle all over the top of the dip. Dippin’ Through January Dips! Click on the LINKS to see all of the Fabulous Dips! I just know I’m going to LOVE this dip Nettie. What a great choice to start us off. Sounds SO good. The Panko just took it over the top for me – love it when you have to break through a crusty topping to get to the cheesy goodness. YUM! Drooling so much I’ve almost shorted out my laptop, LOL. Super YUM-ERIFIC Nettie! Buying the ingredients now so I’m sure to have exactly what I need on hand for Super Bowl Sunday. We’re going to LOVE this one. Great start to the theme month, Nettie! In the over as I type this!!! I added some diced up bacon to it….just because 🙂 Can’t wait!!!! This dip is fantastic!!! You cannot stop eating it. It has made my list of keepers for parties, cookouts, etc…so easy. It is also easy to make mild or hot.